Ringside is a bountiful collection of the most memorable boxing stories by legendary boxing writer Budd Schulberg. Schulberg takes us all the way back to an epic bare-knuckle contest in England 200 years ago; draws a revealing portrait of 'Uncle' Mike Jacobs, the promotional impresario of boxing in its Golden Age; expertly places Joe Louis and Muhammad Ali in the social history of their times; brings followers up to date on the careers of the great names of recent decades - Tyson, Holyfield, De La Hoya, Hopkins, 'Chico' Corrales; and much more. Throughout this book, Schulberg provides an explosive blend of great writing on great fighters, laced with a realistic sense of boxing's wrongs as well as its rights. 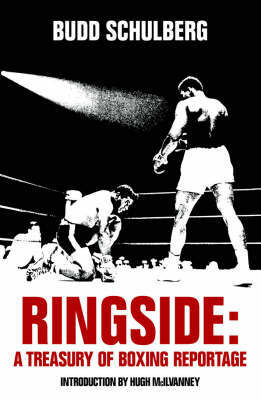 With prose that sparkles with authority and insight, Ringside is a main event in the world of sports literature.